Historical Marker Dedication Ceremony for Van Vleck I. S. D.
Please join us in honoring Van Vleck I. S. D. as we dedicate a Registered Texas Historical Subject Marker recognizing the history of the second oldest school district in Matagorda County. Education was a priority to the earliest residents of Matagorda County. School was held early in the settlement of most of the communities--usually under less than acceptable circumstances and with few materials. 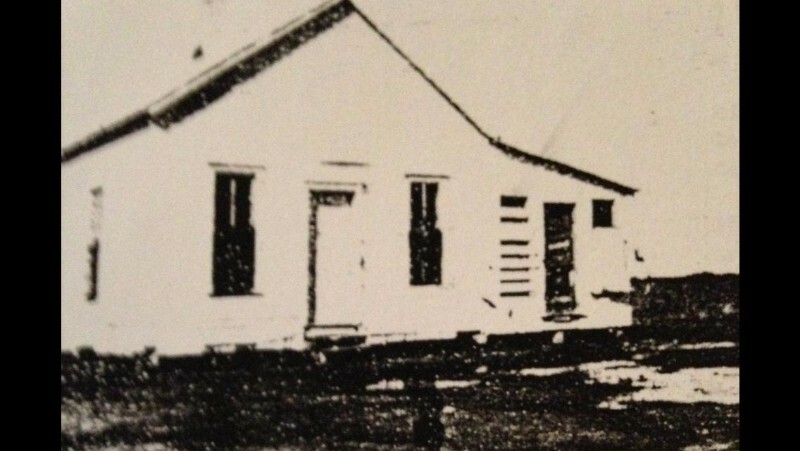 During the 1800s, private schools were the primary avenues for educating Matagorda County students. Many plantation owners employed private tutors for their children. By late 1899, a small railroad had made its way into Matagorda County and pushed its way through the old Hardeman Post Office area now known as Van Vleck. The area continued to grow and gained its name from one of its prominent residents, Southern Pacific Railroad Superintendent, W. G. Van Vleck (1857 – 1914). With the coming of the railroad, came more students in need of educating in the Van Vleck area. A small school was built in 1901 for the white students. The building was a one room structure that was used to house the students for a school term of around three-months, thus becoming the first structure built specifically to house a school in Van Vleck, Texas. This small structure would be the beginning of organized educational endeavors by the citizens of Van Vleck that would continue to grow and improve into the Twenty-First Century. In April, 1911 bonds would be voted upon at Van Vleck for the erection of a new school building. By 1914, a three-story wooden structure was built to house the white school children of Van Vleck. In 1918, another bond was passed to assist the Van Vleck Schools with building and equipment needs for the white and black schools. The Van Vleck School board members voted on March 3, 1938 to purchase Block 53 of Van Vleck Original Town site, owned by Mrs. G. B. Johnson, and Block 47, Lots 1-6 of Van Vleck Original Town site, owned by Ethel Shockley (1884 – 1972) of Knott, Texas. On March 14, 1938, the school board announced the results of the latest bond election. Seventy-seven votes were received to issue the $35,000 bonds and twenty votes against. The bonds were to be paid out in thirty-five years and were to be used for the purpose of purchasing property, equipment and to erect a new school building. On April 28, 1938, the school board voted to request from the Matagorda County School superintendent, a two-year high school classification for the Van Vleck School. Mr. Elijah E. Rudd (1902 – 1985) was hired by the board as the first superintendent of schools for Van Vleck on May 7, 1938. Mr. Rudd was issued a two-year contract which provided a salary of $150 per month. Many smaller communities surrounding Van Vleck had small schools for white and black students. With the newly organized Van Vleck Independent School District and the new building project underway, school board members sought the consolidation of those smaller community schools into the Van Vleck district. By the end of 1939, the school officials for the communities of Ashwood, Cedar Lake, Cedar Lane, Hasima, Liveoak, Lukefahr, Mount Pilgrim, Sargent, and Shiloh, had transitioned all high school students to the Van Vleck School District. The completion of this consolidation for all students in these small communities, would not take place until July 30, 1948 for white students and June 3, 1953 for the remaining black students. Van Vleck Independent School District continues to educate students in an area which covers 338 square miles of the northeastern portion of Matagorda County. The schools in Van Vleck continue to have excellent ratings by the Texas Education Agency and maintain high standards for its teachers and students. The school district continues to modernize its facilities and academic programs. Van Vleck Independent School District’s marker will be placed near the 1938 Van Vleck School building, E. Rudd Intermediate School.